Freight forwarders assist exporters in preparing price quotations by advising on freight costs, port charges, consular fees, costs of special documentation, insurance costs, and their handling fees. They recommend the packing methods that will protect the merchandise during transit or can arrange to have the merchandise packed at the port or containerized. 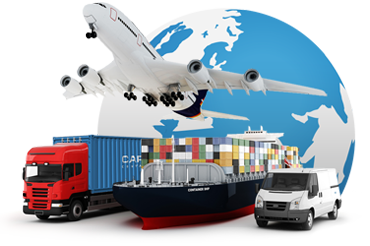 If the exporter prefers, freight forwarders can reserve the necessay space on a vessel, aircraft, train, or truck. The cost for their services is a legitimate export cost that should be included in the price charged to the customer. A bill of lading is a contract between the owner of the goods and the carrier (as with domestic shipments). For vessels, there are two types: a straight bill of lading which is nonnegotiable and a negotiable or shipper's order bill of lading. The latter can be bought, sold, or traded while the goods are in transit. The customer usually needs an original as proof of ownership to take possession of the goods for a Short Form Straight Bill of Lading and for a Liner Bill of Lading).